Additional Info: Weddings Portraits Events .We ensure that you get the very best from your day or your photosession . 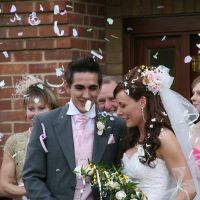 Your wedding is every bit as important to us as it is for you ,we look to make the day both memorable and enjoyable for you your family and friends. You will receive a warm welcome at our studio for yourself your family or maybe your Pet Catering for formal and informal Portraits.